Lettuce, often cultivated as a leaf vegetable is a moderate annual or biennial plant of the daisy family Asteraceae and is consumed widely as raw or cooked. In raw form, it is used in salads, hamburgers, sandwiches etc. Lettuce is rich in vitamin C, iron, folate, dietary fiber and beta-carotene. Lettuce also provides necessary carbohydrates, proteins and little amount of fat to human body. It is a delicate vegetable which if found in many different varieties which are distinct in colors, sizes and shapes. It is said that the darker the lettuce, more rich it will be in nutrition. This type of lettuce is also called Cos, Romaine lettuce or Manchester lettuce originated from Western Europe and the Eastern Mediterranean region. It is known as the oldest grown variety of lettuce which has been cultivated and eaten for more than 5,000 years. It has a characteristic lengthened head, coarse texture and narrow, crispy green leaves having rib at the tips of the leaves. The out leaves of the Romaine lettuce are often thrown because of having sour taste due to the fact of milky fluid found in the ribs of their thick outer leaf. The inner leaves are slightly lighter in color as compared to outer dark-colored leaves. The inner leaves are basically used to add flavor in the salads like Ceaser salads. There are varieties with red tipped leaves which are even sweater than the usual Romaine lettuce. 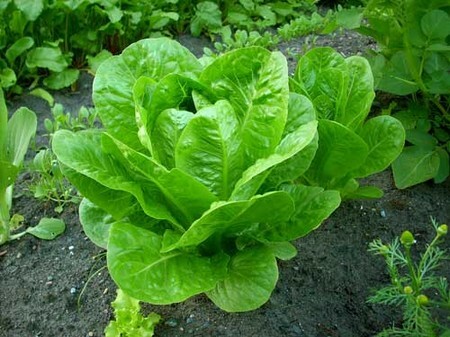 This is regarded as the one of the most nourishing type among all other lettuces’ types. Romaine lettuce has five times more vitamin C than any other type. Crispheads are the type of lettuce which is quite similar to the cabbage as they also possess a tight, dense heads collected in the shape of a ball. 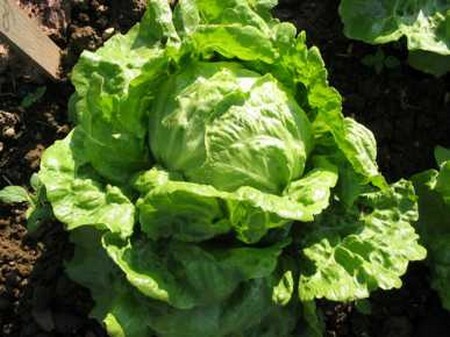 We are already familiar with a popular iceberg variety which falls under this type of lettuce. Other popular varieties of crispheads include imperial, vanguard, great lake and western. Crispheadhs are known more of their crispy and crunchy features rather than flavor. Butterheads are given this name because of the soft buttery feel of its leaves. Unlike other types of lettuce, butterheads have loose head and feature thicker leaves than other types. Mostly, the leaves are light green to dark green in color, but there are varieties which are found in reddish purplish color. The butterhead lettuce has a sweet, mild and delicate taste and is more often consumed in salads. Butter head lettuces are known to be rich in vitamin K. some of the popular butterhead lettuce varieties include Boston lettuce, Bibb, limestone, buttercrunch and many others. 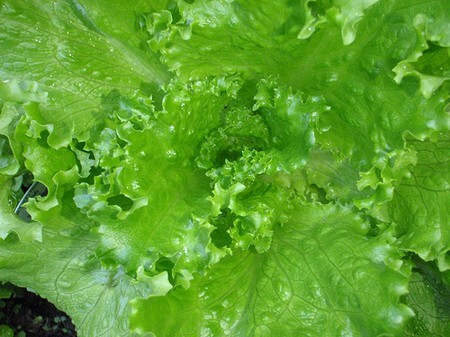 Leaf lettuce is also a loose head lettuce and often resembles a rosette. Leaf lettuces are abundant in vitamin K and vitamin A. Apart from these, leaf lettuce also provide you with other essential nutrients. For instance, one and a half cup of red lettuce will give you 40% of vitamin A, 6% of vitamin C, 4% of calcium, and 1 gram of protein. The leaves of leaf lettuce are mostly light in weight with smooth, silky texture. The leaves of leaf lettuce are ruffled and wrinkled and are mostly found in bright green to reddish bronze colors. The growth of the leaves is such that you can pluck leaves from the head without the urgency to cut the entire plant. Leaf lettuce is much of favor than crisp and crunch like other types. Each and every type of the lettuce is cropped when it gains the full size. It is not necessary to wait till the lettuce plant becomes mature. The lettuce which is harvested in with its full size in its early stages produces good result and tastes than the ones which achieve the maturity level. The mature lettuce usually gives sour and woody salad leaves. Lettuce is a tender plant which you need to store properly to preserve its freshness for longer period of time. Opting dark lettuce types will definitely give you high nutritious diet.